Please join with us to create a Hearts and Hands Community Cookbook which celebrates our Neighbor Helping Neighbor tradition. Share your favorite recipes in our community cookbook today! You can help a neighbor get where they need to go. 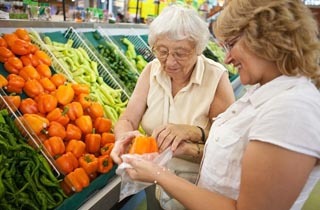 Whether it's to the doctors, grocery shopping, or even to the YMCA you can make a difference and even make a new friend. 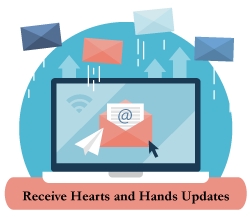 Hearts and Hands is a best efforts program provided at no expense to the care recipient. Services are furnished by volunteers who give of their time as they have it available. Built upon an interfaith coalition, trained volunteers of Hearts and Hands - Faith in Action connect frail or vulnerable individuals in underserved communities with needed services. Hearts and Hands is a best efforts program at no expense to the care recipient. Services are provided by volunteers who give of their time as they have it available. Neighbors helping neighbors. Whether it is your time, talent or treasure, your support assists us in recruiting, training and maintaining the dedicated volunteer base necessary to meet the needs of the growing number under-served individuals in our neighborhoods. Even 30 minutes can make the difference to your neighbor. Our Volunteers provide much-needed support to older and physically challenged adult neighbors to keep them active and well in their community of choice. 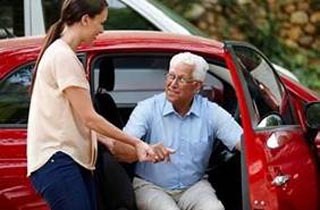 Our volunteers provide support services to individuals living in Niagara County and communities in Erie County including Akron/Newstead, Alden, Amherst, Boston, Clarence, Holland, and surrounding areas. Municipalities, local service organizations and public/private foundations provide much needed financial and in-kind support towards furthering our mission to serve residents and strengthen communities.